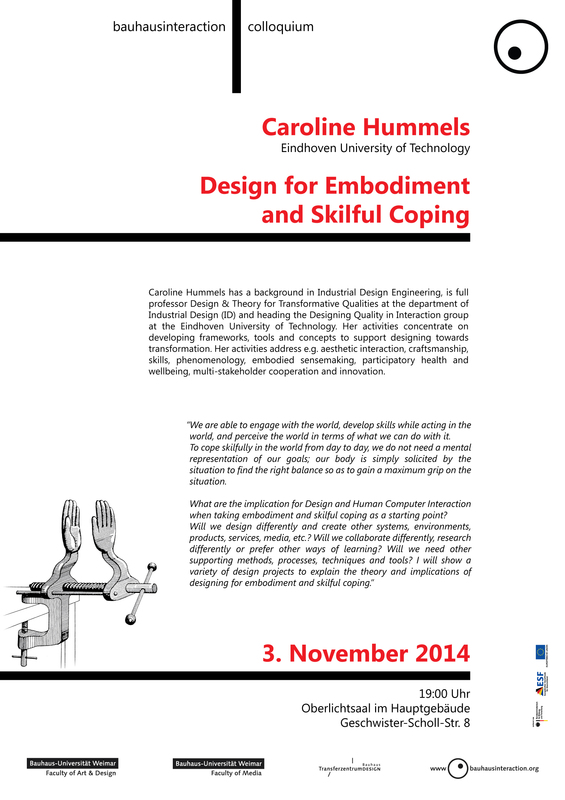 Caroline Hummels has a background in Industrial Design Engineering, is full professor Design & Theory for Transformative Qualities at the department of Industrial Design (ID) and heading the Designing Quality in Interaction group at the Eindhoven University of Technology. Her activities concentrate on developing frameworks, tools and concepts to support designing towards transformation. Her activities address e.g. aesthetic interaction, craftsmanship, skills, phenomenology, embodied sensemaking, participatory health and wellbeing, multi-stakeholder cooperation and innovation.